This installation was in a property in Grayshott, Surrey. The client chose for The Billington Partnership to install a Charnwood C5 stove in their living room. A classically styled wood burning stove, the Charnwood C5 stove features a single air control for exceptional clean burning and outstanding efficiency. A nice looking stove that comes in a range of colours. 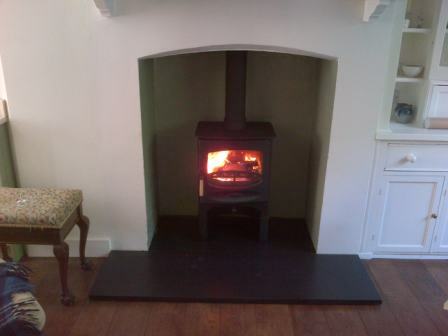 Take a look at another Charnwood stove installation we completed in Surrey.